Closes the currently opened map. 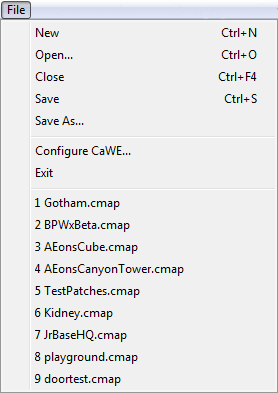 Saves the map as the current filename or open Save as… dialog if map has no filename yet. Opens a dialog to save the map as a specific filename. Opens the Configure CaWE Options dialog. Allows to open the 9 recently edited maps directly.